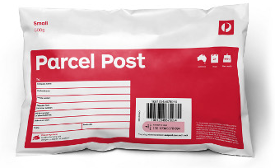 Community Corner - Cancer Council Daffodil Day, Friday 26th August. 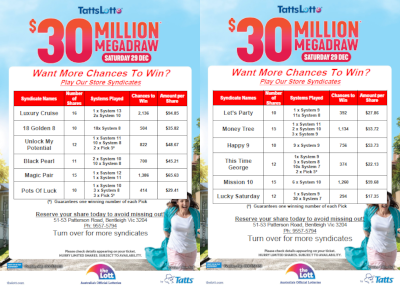 Superdraw syndicates and advanced entries are now available for the $20 Million TattsLotto Superdraw on Saturday 30th July. 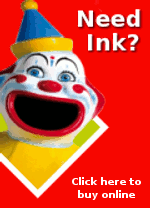 Call in today and pick up your ticket to dream or contact us to reserve your syndicate shares. 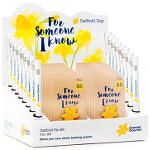 Support The Cancer Council’s Daffodil Day, Friday 26th August, by making a purchase of a lapel pin or pen on sale at Patterson Road Tatts, News & Post from Monday 18th July through to the end of August.